The Survey of London at The Bartlett School of Architecture have launched an innovative new website entitled 'Histories of Whitechapel' and is inviting anyone with an interest in or experiences of Whitechapel's long and rich history to contribute. The map-based website, designed with The Bartlett's Centre for Advanced Spatial Analysis (CASA) and supported by the Arts and Humanities Research Council (AHRC), is a collaborative and experimental resource, collecting memories, photographs, drawings and film together with the Survey’s own historical research on the area. 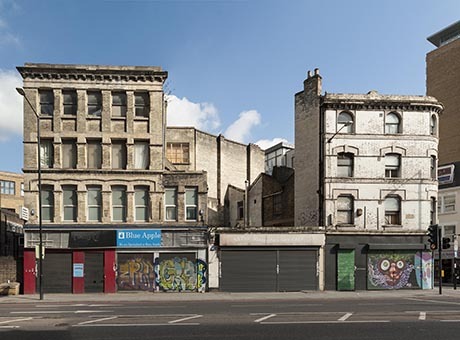 By contributing knowledge and experiences, participants can help the Survey of London create diverse and personal histories of the buildings, streets and neighbourhoods of Whitechapel. Visitors can explore the map and click on any building to discover more about its rich history of housing, commerce, religion and entertainment, wealth and poverty, dissent, reform and conflict, or sign up and share their own material. The Histories of Whitechapel website will be an active, evolving project for the next two years, after which the findings will be published as 'Volume 54' in the Survey’s series of detailed studies of London. The Survey of London is the leading reference work on the history of London and its buildings, internationally acknowledged for its authority and accessibility. In 2013 the Survey of London became part of The Bartlett School of Architecture, UCL, from where it continues its detailed architectural and topographical research.